Backed with rich experience in this domain, we are counted amongst the top leading manufacturers and suppliers of Decorative Candle Stand. Our array adds magnetism and classiness and is capable of holding three candles at the same time. The range is designed and developed using advanced design technology and exceptional quality material, which results in durable and exclusive range. This range of candle stand is ideal for decorations purposes in various homes and hotels during candle lit dinner or any other kind of occasion. Apart from this, our assortment is tested on various parameters so they comply with high quality standards. 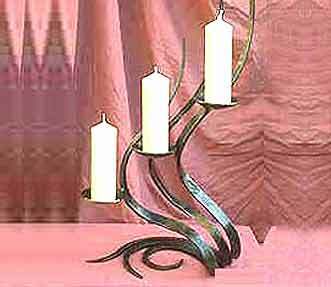 Description : Paradigm of artistic excellence, these beautifully designed decorative candle holders can hold three candles at the same time.